I have been itching to write this post. I have met a lot of people especially in my work life who have pretty much been the same, work style wise. Very few have stood out. To make a mark, for me personally or professionally, three things immediately crop into my head. These are my so call 'mantras', and they work. They will not only make your life easier, but will also create a strong impression of you with other people. Leaving things to do for later is a bad, bad idea. It takes time to get things off your check-list but it takes only few seconds for another ten or thirteen things to get added to that to do list. I always list my things to do in terms of priority. But what works for me is to get those things done which would hardly take any time. So that gives me the chance of scratching that item off my list. And it's sheer pleasure when I make pencil strokes across that completed item. Sometimes I too have to save myself from procrastination - this maybe because I dread doing that piece of work or I am just simply lazy. In case of the former, I have realized, that the best way to deal with doing something you dread, is to stare at it in the face and charge towards it like a bull. Just dealing with it, breaking that task down, and taking a step-by-step approach to it will help you get that tedious task done. About being lazy, well, sometimes, I literally have to just force myself off my chair and walk up to the printer to get those 20 page contracts printed, or go and face to face chat with that someone for quick approvals, or simply pick up that phone next to you and making the inevitable call...it just works. A person who does not procrastinate is a person with mettle. "I'll do it tomorrow". 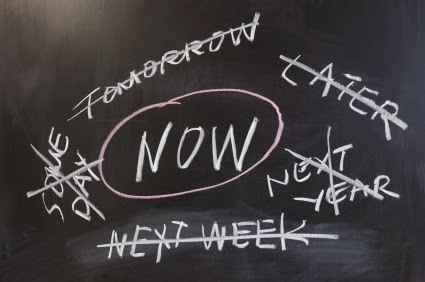 Yes, there's always a tomorrow, but do you have a good enough reason to wait till tomorrow to do it, or would you rather do it today and get it over with? Going to give my driving test, or waiting in long queues at the bank are not appealing chores to say the least, but they are nonetheless important to get done with without unnecessary delay. So next time you stare at your to do list, don't procrastinate. When you meet someone new, notice, if they think differently, they will most likely be some of the most interesting people you know in the room. Creative thinking is an endearing quality. There are too many people doing the same kind of thing out there, so how then will you stand out? "We've heard that before" is a commonly used phrase. Try not being the recipient of that. So what if it works for the bandwagon, steer away from herd mentality. Don't go mainstream. Approach things differently. This will not only make things more interesting for you but also challenging. Keeping your mind active to always think 'if not this, then what' is a healthy exercise. I keep testing myself. I am not an ideas bank but I like seeing how I can turn a done-before concept into something new, something unique and my own. Originality is key here. If you are not different or are not original, then you are not being you. Think about it. 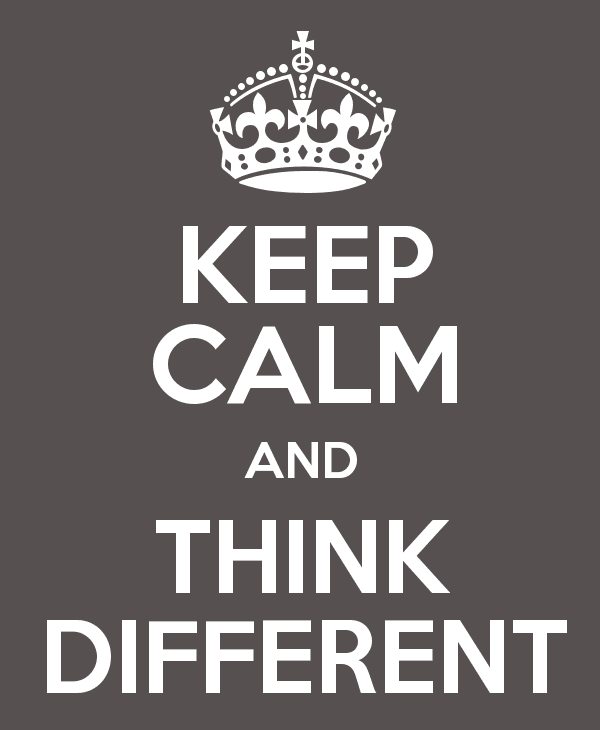 And think differently. Remember, Apple's tagline was after all 'Think different' and we all know how well the company's doing. The answer simply is to get out of your comfort zone. I am not particularly fond of people who say they will send that mail to me right after that meeting, but days go by and that two line mail still does not come through, even after follow ups. What does this say to me? That the person a) is a procrastinator b) is forgetful or does not care enough c) just says stuff without actually intending to do it. And I'll elaborate on (c) here. "I'll get back to you on that." I have heard this line countless times uttered so easily by people. And I can tell you, 99% of the time, they have NEVER gotten back to me. It is upsetting and annoying. When you say you will get back, just get back. Simple. And because so few people actually get back, when you do get back, you will be remembered. It shows you care, it shows you are thoughtful and it shows you remember. 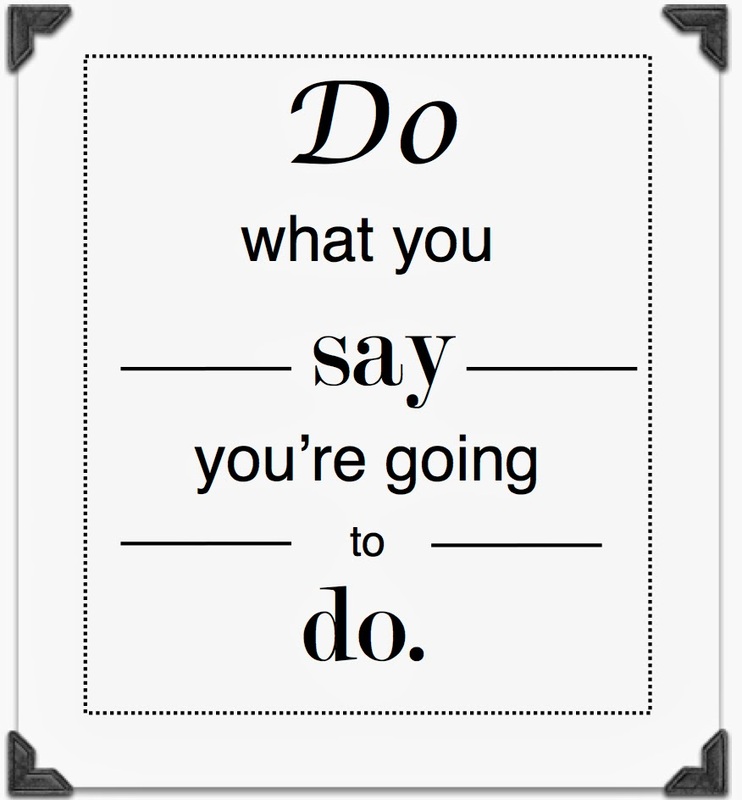 Above all else, it shows you stick to your word. If for instance, your friend has asked you to send him references to help him with his job hunt, SEND him the references - it may take only a few minutes of your time, but you have to realize how helpful your bit of information is proving for your friend. And you never know when in life you might need his help. What then, if he does not get back to you?